The ‘Rule of 72’ is one of the simple ways to know how long an investment will take to double, given a fixed annual rate of interest. For example, at 6% annual interest, your money will take 12 years to double. You can also use this formula in reverse. Example, if you want your money to double in 12 years, then you would want an investment with an annual 6% return. 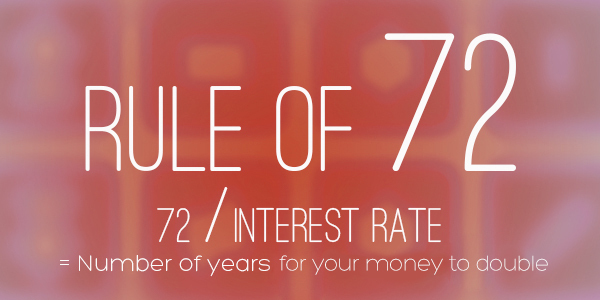 By applying the Rule of 72, you will begin to see if what being offered to you is a bit suspicious or not. How? If they say “I will double your money in 5 years”, 72/5 ano yan? That’s 14% per year. Remember the money will have to make 14% a year without fail. Hindi pwede pumalya to actually double your money. Now are there investments that make 14% a year CONSISTENTLY? dati meron. There were bonds that used to do that. Ngayon, as far as I know, wala. There are a lot of products being offered right now that will double your money in twenty years. Sounds good? Let’s take a closer look. 72/20 is equals to 3.6. That’s 3.6 percent per year. Diba parang ang ganda pakinggan ng “double your money in 20 years”? eh 3.6% a year in 20 years, does that sound as good as double your money in 20 years? It’s like saying you are willing to get tied to an investment for 20 years making only 3.6% per year. Moving forward in 20 years, ang presyo kaya ng bilihin ay tataas or bababa? Baka tumaas diba? Paano kung hanggang 3.6% lang lumalago ang pera mo compared sa 5-6% na pagtaas ng bilihin? Your money will actually lose value. Kaya importante na ang investment na pipiliin mo should consistently be growing above inflation. Learn more at “Ang Pera Mo at Ang Halaga Nito”. Simple lang diba? Kagaya nga ng lagi ko na pinapaalala, aral muna bago invest. Hindi lahat ng maganda pakinggan na investment ay iyon na ang pinakabagay sa iyo. Dahil kung hindi mo inaral ang mga ito, maaring ma-kompromiso ang kinabukasan mo at ng pamilya mo. ano naba kasi balita don sa House Bill no. 490 Financial Literacy Act? By the way maraming salamat Sir Aya at may natutunan na nman kami. GOD BLESS at more power to you. Sadly, its not a priority bill. Hi Sir Aya, thank you po sa info. Meron po bang way para makakuha ng projected inflation rate or safe na po na i-assume na on average 5-6% sya? Check the NSO website. Andun ang data. I want to start investing in the stock market thru COL. However, at their web, one of the requirements is a bill under your name. I don’t have such. Paano na po yun? Hi, try to attend their free seminars, then after that fill up the form there and just present 2 valid id’s. Alam ko nga basta personal appearance ok na e plus 2 valid id’s. Btw, in case I want to buy stock, do you have a procedure on how to do it especially if I am working overseas? Also, can you recommend a broker who can assist me on this? 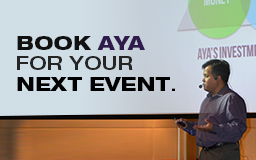 Yes, if you attend our seminars, hindi na kailangan ng bill. When and where do you conduct your seminars? I’m interested to learn from your wisdom.